Is Social Media Too Fast? One of the greatest challenges of effective social media outreach is the need to be always on. 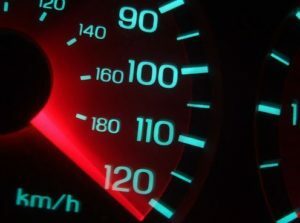 Speed kills in social media, and that’s a difficult transformation for marketers (and especially agencies). If a consumer tweets something negative about your company, addressing it quickly before it festers and is retweeted everywhere is the best practice. But, somebody has to be monitoring in real-time. In my experience, Google Alerts has a bit of a lag (and doesn’t catch all tweets). Other free notification engines and/or social media listening software like Radian6, Techrigy, or Spiral 16 are necessary. But, it’s not just the tools, it’s the availability. Most marketers – whether client or agency side – are not sitting around waiting for something to happen in social media. They are in LOTS of meetings, usually, which seriously impedes their ability to jump on a social media scenario like a fireman with a laptop. While perhaps not as potentially serious from a brand standpoint, the same opportunistic philosophy is a best practice for thought leadership too. A good way to drive traffic to your blog is by leaving intelligent comments on other blogs. But, with “news” cycles that have shrunk down to hours or less, it’s certainly beneficial to be one of the first few comments on a popular post, rather than comment sixty five. Again, that requires identifying the blog post as worthy of a comment almost as soon as it’s published. And this is made even more difficult by the three hour time penalty for us west coast types. A good friend asked me the other day how I could be so responsive to emails and tweets and calls. Grateful for the praise, I told him the truth. It’s because I’m always checking my various inboxes and I often reply as soon as messages appear. This of course requires me to jump from task to message to task to message like a Russian dancing bear on crack. I’ve been in marketing long enough to remember a time when we didn’t even have computers, much less Twitter on the iPhone. (Don’t let my boyish photo to the right fool you, gentle reader. I’m turning 40 this year). It sure seemed like we were more strategic back then. Maybe because we had the luxury of contemplation. Is the often tactics-only thinking around social media a byproduct of its instantaneous push and pull? Is this what it’s come to? Is the barometer of success in marketing you or your organization’s ability to react the fastest? And if so, how do you staff a company like that?